Nick is the Head Trainer at CrossFit Sav-Up in Petaluma. 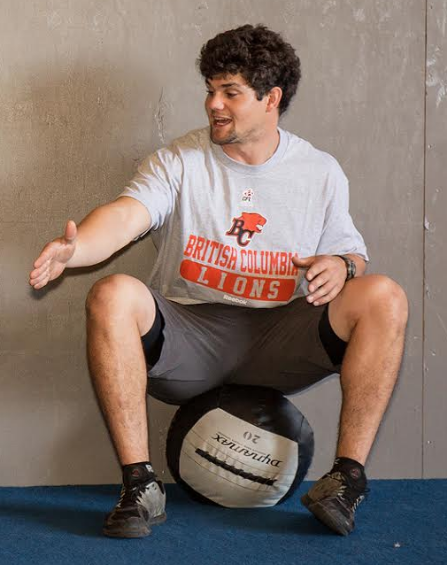 A CrossFit Level 3 trainer, Nick is also a member of the CrossFit Kids Seminar Staff and travels the world providing instruction on the CrossFit Kids program to other coaches. Note from Matt: This blog post clocks in at a 7 minute read. The interview was recorded from a phone call and then written down by me. Some parts may be edited slightly for an easier read. Matt: When did you first get interested in health and fitness? How did that interest develop over time to eventually become the career path you wanted to pursue? Nick: The interest in this industry for me initially started because the mentors in my life had careers related to health and movement. Specifically, a wrestling coach and personal trainer were very influential to me. I participated in sports in high school so initially I was mostly interested in learning about all this for my own training. After high school I started to “coach” at a Crossfit gym. Looking back I wouldn’t really describe it as coaching, instead I would call it training others very poorly. I was an 18 year old kid, making a bunch of mistakes, and trying to train and get better. At the same time I started college, initially with a degree in viticulture, and did that for 2.5 years. Eventually it hit me that my real passion with in health and fitness and that making wine was more of a hobby. So, I switched over to Kinesiology and started to pursue this path. Matt: Looking back, what gaps did you have in those early days as a trainer? What did you wish that you knew then that you know now? Nick: I wish I knew nothing when I first started. As soon as you think you know something you realize how little you actually know. I think it would have been beneficial for me in those early days to only speak about what I knew. A lot of times when you get nervous as a young coach you try to fill the silence with big words and filler. An attempt to impress people or something like that. I remember talking to people about knees, ankles, and heels when I hadn’t even taken an anatomy class. If I could go back I’d just tell myself to shut up and learn. Matt: What helped you to start to understand the foundations of coaching and movement so you could improve as a fitness professional? Nick: My first job at a CrossFit gym in Santa Barbara really taught me a lot about how to approach this job as a professional. I had to learn how to balance my schedule, take care of a gym, and more. It was a great experience for me as a young kid. In addition to that, Spenser Scott, the owner of CrossFit Valley Of The Moon, gave me the CrossFit Level One training guide and it was the first time I’d seen a simple structure to follow as a coach with movement and training. The biggest takeaway for me was the importance of consistency and that over time you could start to see some amazing progress in movement. Now that I had an introduction of how to think about movement I got hooked and continued to learn as much as I could. Video, in particular, was very helpful for me. I’m a visual learner so I would watch as much as I could from other coaches and professionals in the space. I did this for about two years before I started to feel more confident about what I knew and move forward as a coach. Matt: So you were training at a Crossfit gym in Sonoma and graduated college with a degree in Kinesiology. What came next? Nick: Yeah, so I was training at CrossFit Valley Of The Moon with Spenser. Sometime before I graduated college I realized that I wanted to work with kids. There was something about it that I really enjoyed so the original plans I had (opening more of a competitive or athletic focused CrossFit gym) started to change. After college I did the easiest thing I could to move forward which was open a CrossFit garage gym affiliate. Matt: What were those early days like as a affiliate owner? Nick: Very easy because I wasn’t charging anyone who came to the garage gym. It was all meant for me to just practice coaching. It was mostly friends or friends of friends coming over to the house to workout. One thing that was really important to me was to practice public speaking as much as I could. If friends came over I would give them a presentation or lecture about a certain movement or training topic. It was something I needed to improve on as a coach so having this training environment really helped me get a lot reps.
Matt: When you decided you were ready to finally start your own official CrossFit gym what did you do to ensure that you started successfully and deliver a high-quality experience? Nick: Well, like I said, it took me a long time to feel as if I had enough knowledge and confidence to start. By the time I was ready to open CrossFit Sav-Up in Petaluma I had a good amount of experience and was able to get off the ground fairly easily. I knew how to give clients a great experience and build relationships. As a coach you have to learn everyone’s name quickly and be sure to really listen to them. You have to pay attention to how you walk through the door. The culture that we’re building here is one where we let you know that we’re going to take care of you. We’re going to do everything we can to make you successful. You realize very quickly as a gym owner that if you don’t give your clients an amazing experience the first time they come they aren’t coming back. You also realize very quickly that it’s less important to have someone follow an optimal training program as compared to something they think is fun and enjoy doing. Matt: For fitness professionals who haven’t come across you before tell us about CrossFit Sav-up. What’s the environment like? What services do you offer and what type of clientele do you cater to? Nick: Yeah so we have a big gym facility here in Petaluma. It’s a big metal building with a CrossFit sign and who knows what’s really going on in there (laughing). Our membership is made up of mostly families. It’s pretty uncommon to have someone walk in here and for us not to know anything about them. We have a pretty tight-knit community. During the week we have seven classes with two open gyms for adults and two childcare hours. In addition to that we have four teen classes, four pre-teen classes, two kids classes, and two pre-school classes throughout the week. It’s all mixed together. Around 8:30 or 10am we’ll have parents come in with their kids. The kids are either getting dropped off for childcare or for one of the kids classes for a workout. I run all the kids programs myself. Luckily we have a big outside space so it’s safe for me to run around out there with the kids. That’s really important to me. The whole environment is a lot of fun. It’s amazing to see kids leaving the classes talking smack to their parents about how they did more burpees or critiquing their squats (laughing). Matt: In addition to the being the Head Trainer now you’re managing a team of coaches. What have you learned that helps you run the organization and team so everything’s moving in the right direction? Nick: Taking on a leadership role is something that I always wanted to do and yet the more I’ve stepped into it the more I’ve realized how much depth there is to being a great leader. A leader doesn’t just help people, they do everything they can for every person that is in their community. We’re lucky that our gym is a place where people can walk through the door and we can let them know that we care about them. Over the past few years I’ve learned that being a leader is a lot more than just reading a few books. I’m very lucky that I get to be on the CrossFit Kids staff and get exposed to great leaders from all over the world at various seminars. Being exposed to these professionals expertise and passion has been incredibly helpful to me. It keeps me humble and working hard. Matt: So you’ve been exposed to CrossFit as a competitor since 2009 and working as a trainer since 2012. Since that time you’ve seen CrossFit community get stronger and continually improve. What are you excited about for the community as a whole right now and over the next few years? Nick: I think the coolest part about it as a coach and gym owner are the people we get to work with and the smiles we get to see. When you complete a workout with a group of your clients it’s not just happening in front of you, it’s happening in a thousand gyms across the world. I love the CrossFit community because they really care about having a good time, take care of each other, and emphasize living a lifestyle that prioritizes health. I’m really excited for where the community is going because the education and training is only getting better and better. The efforts to improve haven’t slowed down at all. I just love how there’s room for people to grow in the community and coaching system. Matt: Awesome. Tell me, what you are excited about for the Sav-Up community and yourself coming up? Nick: For myself I’m kind of excited to grow up a little bit. I’m excited to take that next step. It’s something I’ve put off for a long time. I love having a good time and I think I’ve been very selfish with my time and energy over the last few years. So, I’m excited to grow up and move forward so I can serve my community even better. I’m very thankful for the people around me that have helped guide me along my journey. For CrossFit Sav-up, I’m stoked that I’m looking out right now that I see a trampoline with a bunch of rubber balls on it because we had a pre-school group class this morning having fun. I want CrossFit Sav-up to be a place where kids can continue to come to and have fun that’s not a couch in front of a TV after school. I’d love to have some sort of pre-school here. I’d love to have some sort of study center for teenagers here. I really think that this location is going to be more than just a place where people come to workout. That’s the direction we will keep on putting our energy into so we can make people happy.